SRP Server helps to prevent catastrophic server failures, and minimize the business impact if failures do occur. Three factors are critical to any networked computing environment: Security, Reliability, and Performance. If any of these parameters degrade or fail, our clients need us to identify the problem, troubleshoot, and take corrective action quickly. SRP Server puts tools in place to track these parameters and alert us if there are issues that need immediate attention. Our software agents are installed on your servers, both physical and virtual. These agents track your server’s connectivity and performance metrics in real-time, and “phone home” to our Service Desk headquarters. Our Service Desk staff receives these alerts and investigates the cause. We’ll triage the alert and work with you to determine the severity of the issue. If there is a critical work-stoppage issue, our SRP clients receive priority incident response. It is important that all servers receive regular software updates in order to stay secure. We will work with you to set a regular maintenance window, when planned server downtime will have a minimal business impact. Our agents will perform automated updates during that window, typically overnight. Plus, you’ll receive an automated monthly report that will summarize items like the status of your servers, backups, and any patches that weren’t successfully applied. Automated tools can’t do everything… sometimes there is just no substitute for a real human review of your servers. Every six months, you’ll receive a detailed report which is reviewed by your lead engineer. This report will capture more specifics, like hardware warranty and antivirus software expiration dates, backup success, firewall security issues, user management, and network analysis. We will work with you to make sure you understand the contents of the report, and come up with a plan of action. Issues that need attention can be addressed by your in-house staff when possible, or by our lead engineer during Scheduled Support visits. 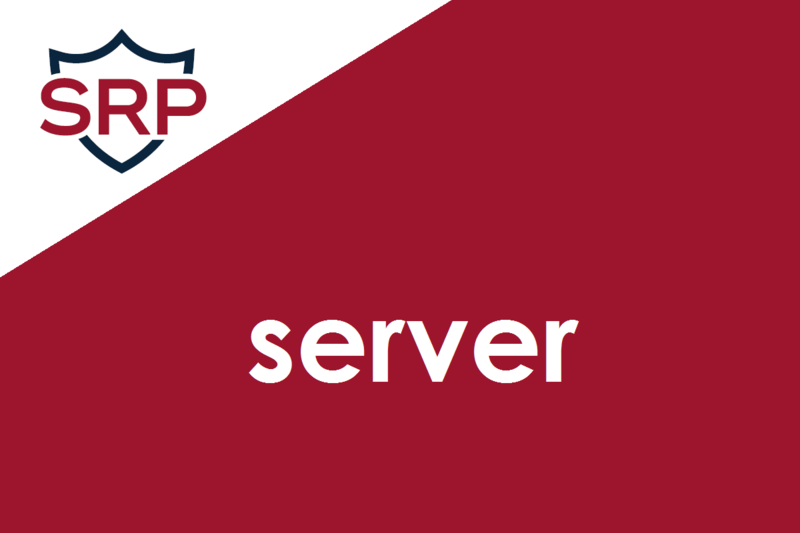 What's Included in SRP Server? Real-time, 24 x 7 remote monitoring. Alerts will be responded to and managed during normal business hours at regular time and materials rates. • After hours automated patch and hot-fix application; Automatic deployment and after-hours reboot, as required; investigate any alerts the following morning; repair (generally reversing an errant patch), as necessary. • Monthly SRP automated reports. • Twice yearly in-depth SRP report with comments and analysis provided by our onsite lead engineer. Pricing is fixed-fee and is determined by the number of monitored servers (physical and virtual). Contact Us for detailed pricing information.